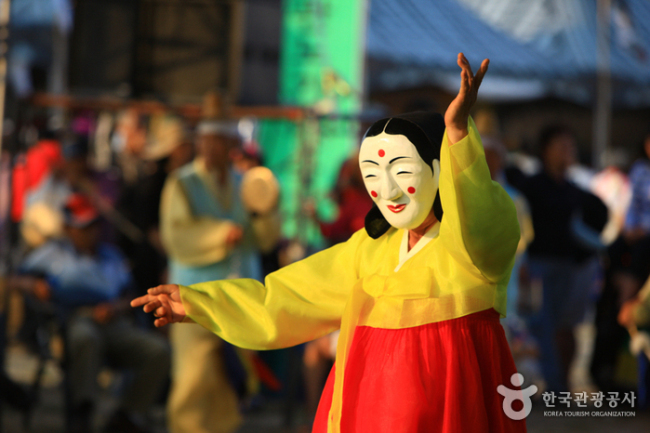 The cultural theme park of the Korean Folk Village hosts the “Welcome to Joseon” Variety Festival each spring. Programs include parades and performances as well as hands-on activities and cast members wandering freely throughout the park to interact with visitors. 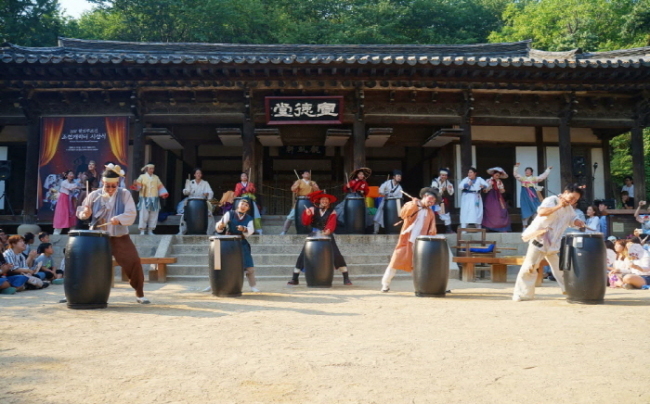 Travel in time back to the Joseon era with the characters putting up an interesting comedy act. The event is open to visitors of all ages, and the duration of the performances varies by program. It is held from 9: 30 a.m. to 6:30 p.m., until June 24. Visit www.koreanfolk.co.kr for more information in Korean, English, Japanese or Chinese. 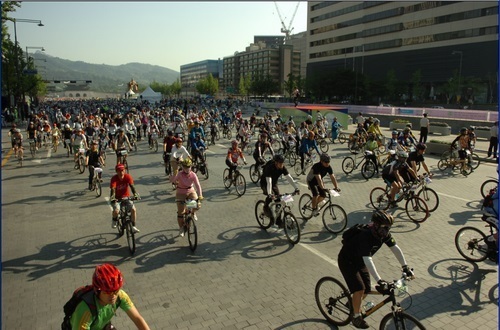 The Seoul Bike Parade is held on June 17, starting at 8 a.m. at Gwanghwamun Square with about 5,000 participants. The bikes pass Seoul Station and the north end of Hangangdaegyo Bridge and finish at Peace Plaza in the World Cup Park. Participating citizens can enjoy the cool breezes of the beautiful Han River while riding a bike along Seoul’s most representative courses, including from Gwanghwamun Square to the north end of Hangangdaegyo Bridge, and the Gangbyeonbuk-ro course passing under the seven bridges of the Hangang River. The event is open to participants between the age of 10 and 80, at 10,000 won participation fee. For more information, call the travel hotline at 1330 for information in Korean, English, Japanese or Chinese. The website (hiseoulbike.com) is only available in Korean. The area around Eocheon-ri in Goseong-gun, Gangwon Province, is covered with purple lavender fields from June 1-21. 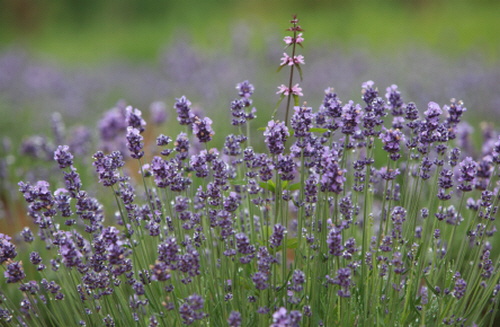 This year’s annual Goseong Lavender Festival will feature a variety of programs, from exhibitions to performances, including a lavender photo exhibit, a photo contest at the farm and the village, a classical music concert and a lucky draw. The event is open to visitors of all ages, free of charge, from 9 a.m. to 7 p.m.
For more information, call the travel hotline at 1330 for information in Korean, English, Japanese or Chinese. The website (www.lavenderfarm.co.kr) is only in Korean. 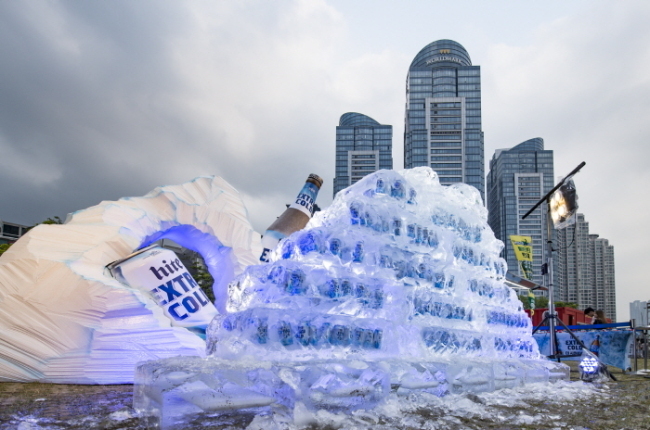 The Centum Beer Festival, sponsored and managed by the Centum Beer Festival Committee, takes place in Busan’s KNN Centum Plaza from May 31 to June 10. The festival offers unlimited beer and snacks and diverse cultural events. The participation fee is 10,000 per person, and the event is limited to adults only, although minors can come with their guardians. The event is open from 5-10 p.m.
For more information, call the travel hotline at 1330 for information in Korean, English, Japanese or Chinese. The website (http://www.beerfestival.co.kr) is only available in Korean. The Gangneung Danoje Festival was designated a Masterpiece of the Oral and Intangible Heritage of Humanity by UNESCO in 2005 and important Intangible Cultural Property No. 13 in Korea in 1967. It includes rituals such as the Daegwallyeong Guksa Seonghwangje (a tribute to Monk Beomil, believed to protect Gangneung) and Yeongsinje (a deity greeting ritual). Folk performances, ssireum wrestling, swing ride, and tug-of-war competitions follow these rituals. The festival is held on June 14-21. The event has no admission fees, although participation fees may apply for experience programs. Visit its homepage (www.danojefestival.or.kr) for more information in Korean, English, Japanese or Chinese.